Up to 30 percent of banking jobs could disappear in five years. The robot revolution has arrived on Wall Street. The JPMorgan Chase & Co. LOXM program is so good at equities trades that it’s replacing humans who used to do that work. Goldman Sachs is automating the initial public offering process. Vikram Pandit, formerly of Citigroup Inc., told Bloomberg that 30 percent of banking jobs may be gone within five years thanks to advancing technologies. Two Sigma co-founder David Siegel is also concerned that automation will soon force large portions of the workforce into obsolescence. Although many people imagine that only traditional “blue collar” work is at risk from automation, robots are well-suited for much of the work that happens on Wall Street. Artificial intelligence (AI) and machine learning allow computers to learn by processing data and natural language, in addition to the simpler process automation that allows robots to perform simple, rote tasks. Supportive and back-office roles will be the first to go on Wall Street; anyone who spends the bulk of their time either doing repetitive support tasks or calculations based on structured data will be out of work. Bloomberg reports that robots will handle 1.7 million requests at JPMorgan this year alone, such as resetting passwords and producing data reports — the work of 140 people. 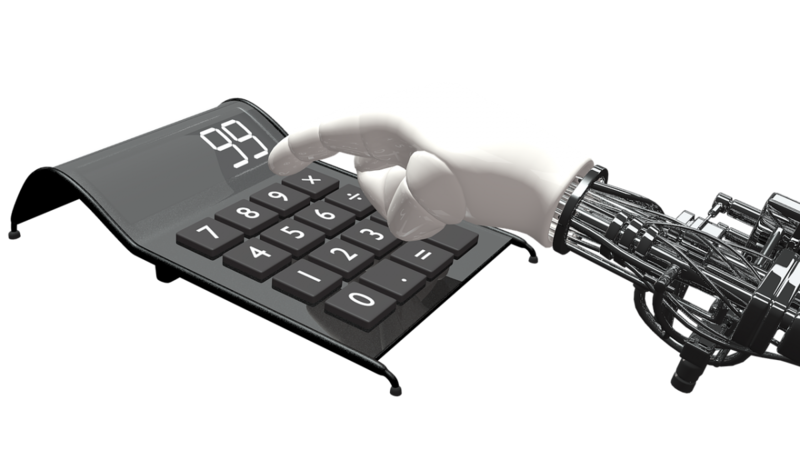 Bloomberg reports that, according to management consultant company Opimas, by 2025, about 30 percent of those in asset management—about 90,000 people—will be replaced by machines. They’ll be joined by around 15 percent of those working in trading and sales, about 45,000. Overall, by 2025 the Wall Street impact from automation will be a job loss of about 18 percent, or about 230,000 people—and four in five firms on Wall Street either plan to use or have already implemented some form of AI. And as more people like junior investment bankers lose their jobs, so do regulators and compliance professionals. Automation isn’t a wholly destructive force, even if you’re just considering its impact on the workforce. According to Opimas, up to 27,000 new data and technology jobs will be created thanks to AI, in the form of new jobs like data scientists and machine-learning engineers. Banks that invest in AI can also expect to see market share gains, McKinsey & Co. partner Jared Moon told Bloomberg. Furthermore, there will still be a market for human qualities, like trust and empathy, which are tough to automate; some businesses will always need human consultants or advisors for customers that demand more human qualities in their interactions. According to Richard Johnson of Greenwich Associates, people starting out in finance can prepare for these changes. “Be tech-savvy, be client-savvy or be data-savvy,” Johnson told Bloomberg. This will mean specializing in relationship management, and working with the technology itself. Coding, data science, and analysis will continue to be in demand as the reach of AI and machine learning expands. Experts in the field have a wide range of opinions on how we should be preparing for automation’s rise. In Canada, the government is focusing on investments in retraining and education, and this emphasis is shared by many, including Alibaba’s Jack Ma and D2L’s Jeremy Auger. Other experts aren’t as worried about the issue generally, because they see better computers and technology as a source of more jobs; Alphabet executive Eric Schmidt and Google’s Ray Kurzweil take this position. Others, like Stephen Hawking and Elon Musk, take a dimmer view of how AI is likely to affect the job market—and possibly human survival. However, none of the experts seem to dispute the basic premise that automation will be impacting huge numbers of people—and that it’s already happening.